By embracing some of these design elements in your closet, you can maximize the efficiency of your space and keep track of all of your favorite things to wear. Unless you’re Clark Kent, who puts on his Superman costume inside a phonebooth, you’re probably not a fan of getting changed in small spaces. That’s where an open closet concept can help, allowing you to get dressed quickly and easily, with everything you need to prepare for the day at your fingertips. Keep folded articles of clothing such as sweaters and jeans organized and in neat stacks by using pull-out shelves with dividers. 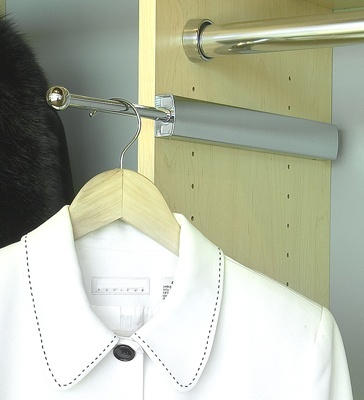 Hiring a valet might not be in your budget, but valet rods offer a simple, affordable way to add hanging space to your closet. Use them to hold dry cleaning or to keep your wardrobe sorted. Here’s a custom closet design trick that will keep your shoe collection in plain sight. With slanted shoe racks, you’ll be able to organize your footwear – heels with heels, sneakers with sneakers, etc. – and keep things from getting lost. Double the hanging space in your closet by setting up tiered clothing rods. This lets you group items together, with long skirts and dresses up high, and shirts and blouses down below. Remember that tie you really liked, the one you wore for job interviews, and to important meetings? It vanished into your closet, and when you found it again, it was wrinkled, out-of-style and nearly unwearable. But with a belt/tie/scarf rack, you can prevent that kind of situation and keep track of your cherished accessories by hanging them in the same spot. Installing a few custom jewelry drawers lets you keep your bracelets, rings, earrings, watches, necklaces, etc. in a safe place, free from getting scratched or tangled. Tired of dirty clothing ending up on the floor of your closet? Installing pull-out, tilt-out hampers gives you a quicker way to dispose of dirty clothes at the end of the day, and makes things easier when it comes to sorting and washing clothes on laundry day. 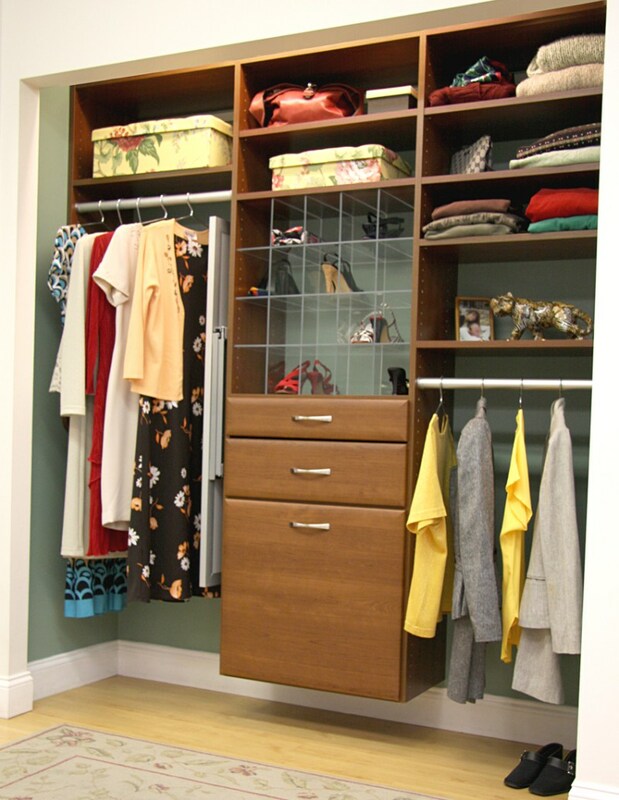 Are you tired of dealing with a chaotic closet each morning? 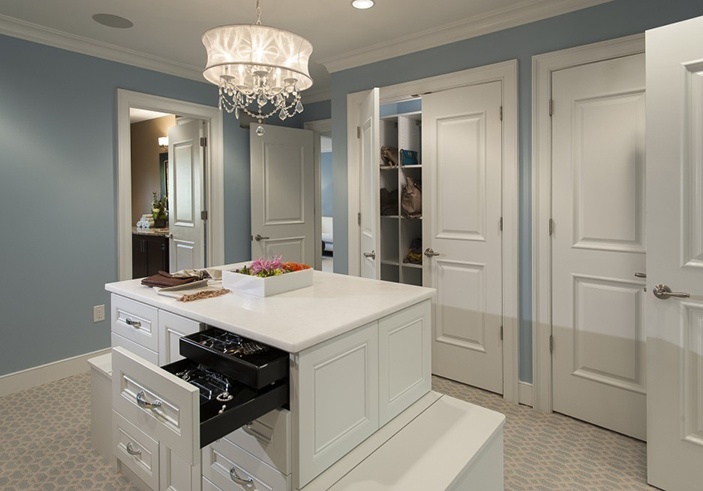 The custom closet design experts at Closets & Cabinetry by Closet City can help. For more than 30 years, we’ve worked with homeowners in the Philadelphia area to create closet spaces that are stylish, convenient and well-organized. 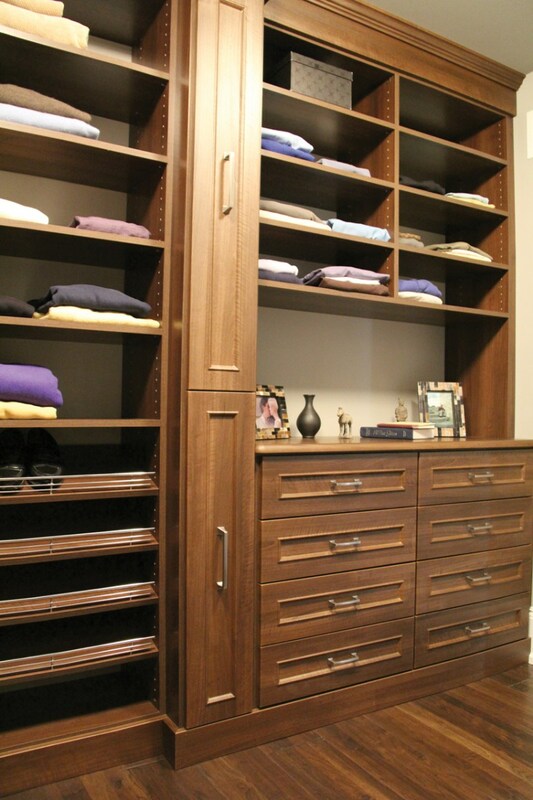 Contact us today, and let us get started on giving you a closet that you’ll want to show off!